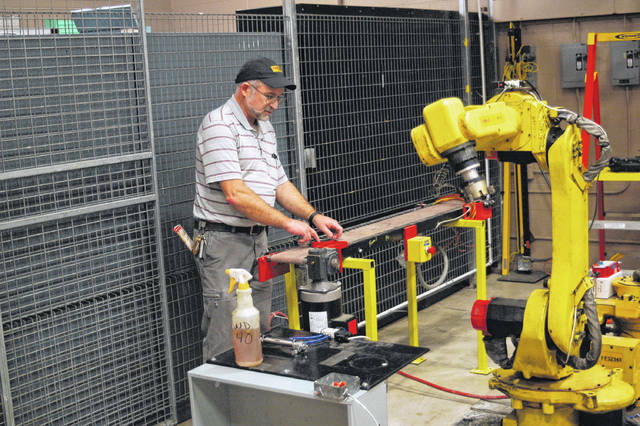 FANUC robotic arms are used as a standard in automated manufacturing. The ARMS program at BHCC has two they have arranged for students to operate and program to move rings about through a process, which start on this conveyor belt with sensors to communicate with the robots. Instructor Chip Collins for the adult Industrial Maintenance program uses this controller to start and program the FANUC robotic arms, teaching students how to repair and maintain them. Here the arm has picked up a metal ring from the conveyor belt and is moving it to the first process station in the forefront, where the arm will wait for further instructions. 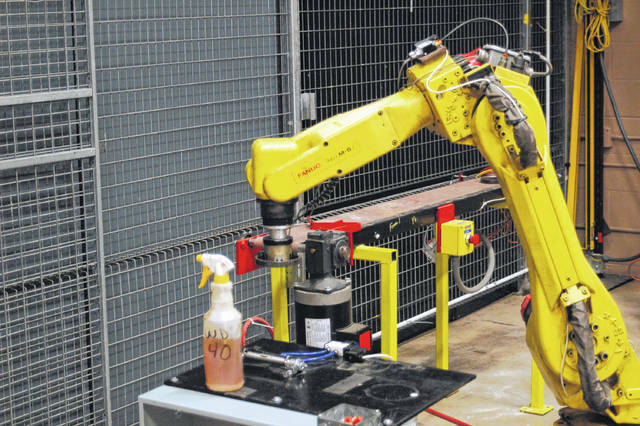 Students will also learn to program Computer Numerical Controlled (CNC) automated machine tooling as part of the ARMS program. 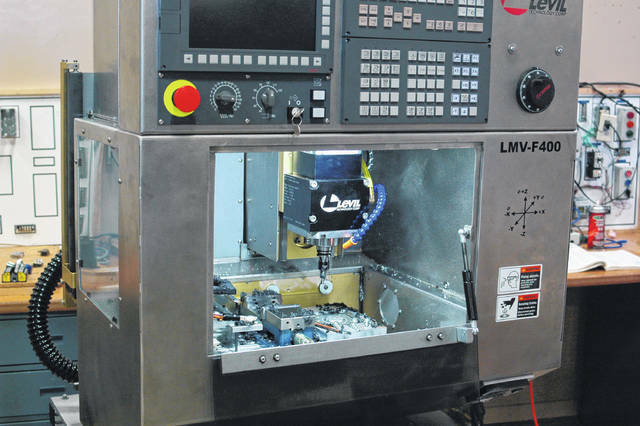 Many manufacturers use CNC machines and the operation and maintenance is critical for automated manufacturing. 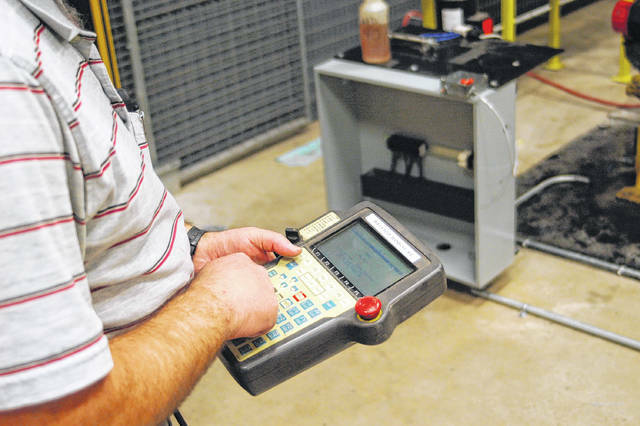 RIO GRANDE — Buckeye Hills Career Center is set to offer a new program in the fall, Advanced Robotics Manufacturing Systems (ARMS).